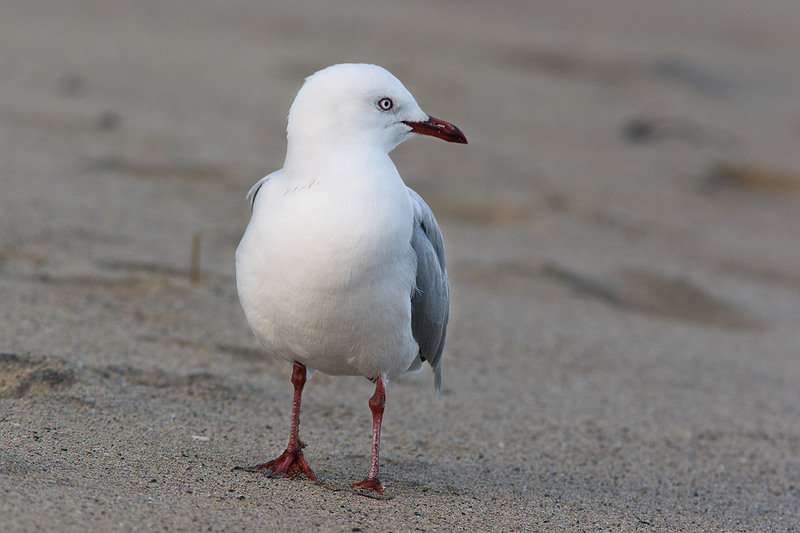 Red-billed gulls (Chroicocephalus scopulinus), until recently placed in the genus Larus as Larus novaehollandiae scopulinus, are one of the most common shorebirds in Aotearoa, although apparently they're classed as "Nationally vulnerable". They were certainly plentiful at Flounder Bay, where I photographed this one in April 2008. Is it covered with sand or has it lost part of its left foot? Lesley, in this case both feet were still intact, just a little sandy. However, gulls with one or sometimes both feet missing aren't unusual. I could speculate about the reasons, but I really don't know.